The IBCC provides a world-class facility acknowledging the efforts, sacrifices and commitment of the men and women, from 62 different nations, who came together in Bomber Command during WWII, as well as the stories of those who suffered as a result of the bombing campaigns and those whose survival was guaranteed by the humanitarian operations of Bomber Command. Enhance your students studies of the Second World War or Local History with a visit to the IBCC. Our facilitated schools sessions will enable your students to develop their skills in historical enquiry by discovering first hand stories, unique artefacts and state of the art interactives. Please scroll down to the bottom of the page to download more infomation about our schools offer including- a risk assessment, FAQs, workshops and pre/post visit activity ideas. Our students were enthralled with the walls and trying to find their family names. One student from Poland found her mother’s maiden family name, and having heard family stories of relatives who came to the UK to join the war effort, found the experience very moving. She is going to use your Losses Database to investigate further. I would like to personally thank our guide for giving our student a poppy to place by the name. 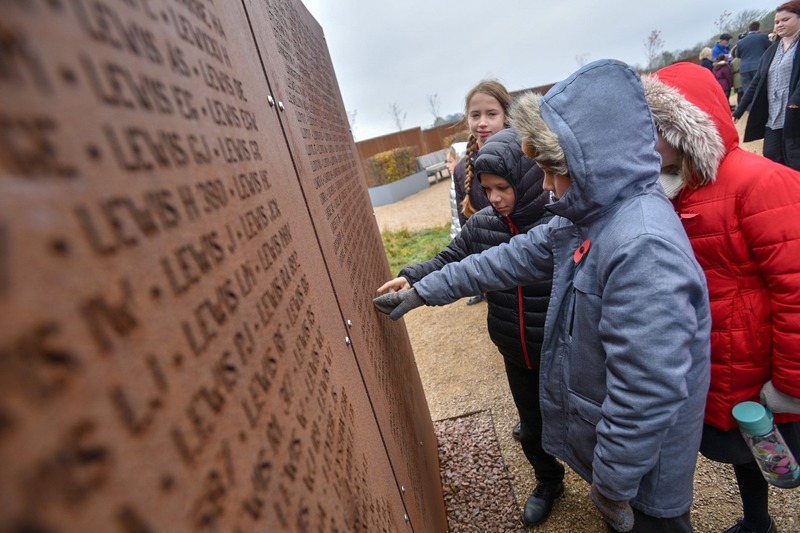 Speaking to the students on our return to school, they enjoyed their visit and the stories they have heard became real and they connected with the men and women of Bomber Command and their families. I was very impressed by both the centre and the friendly, helpful approach of everyone I spoke to.Best wishes and congratulations on helping create such a worthwhile resource and commemoration. Fly a Bomber Operation- can you make it back? Why did people’s reactions to Bomber Command change after the war?